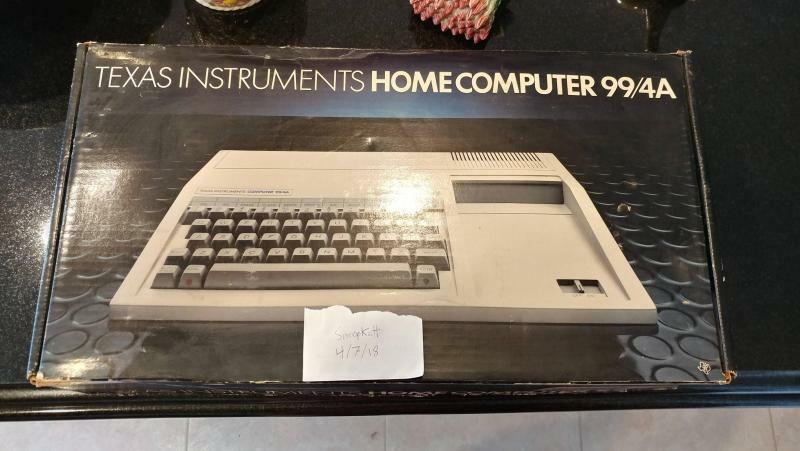 In a package deal I received this TI 99/4A computer. I figured I would play with it a bit but once I opened the box, I came across a dilemma: it looks very new!! This stuff isn't common so I don't have the heart to break the seals and use it. The computer bag is open, but since the peripherals are sealed I can't imagine it was ever used. All the paperwork looks perfect too, so I'm not even sure if the computer was taken out of the box. Thanks for looking. Please let me know if you have any questions. Edited by SnoopKatt, Sat Apr 7, 2018 3:53 PM.